Who doesn’t love a smart belt to uplift their outfit? From being used mainly as an accessory by men (as well as being utilitarian in nature) till the end of the 19th century, belts have now successfully made a niche of their own with women too. Initially, leather belts were created to hold tools, weapons and other objects of daily use. But around the Renaissance, women started making use of belts while dressing up, due to which they became a lot more elegant, refined, slimmer and fashionable. 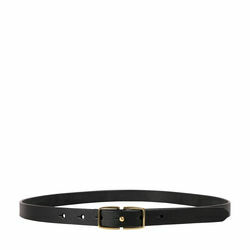 Since belts are have now caught wind of ever-changing trends, they’ve slid into the ‘daily wear’ section of our closets. And, Hidesign has the perfect ones to accompany you wherever you go. If you’re up for some Soho Ranch leather lovin’, you can try the Mariko women’s belt. 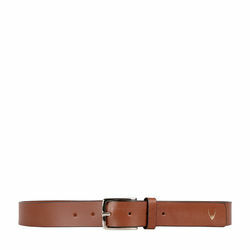 Made in vegetable-tanned natural leather, this single-sided belt comes in a gorgeous brown colour and has a neat gold buckle that gives it just the right amount of edge. 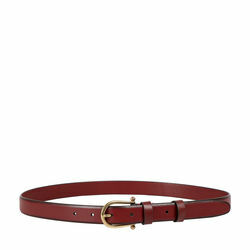 But, you also have the option of choosing from a more sober, tobaco-coloured belt of the same model. Belts have not been kept away from embossing and other designing techniques. Hidesign’s Mariko Women’s Belt - Embossed Soweto - that is available to you in an original tan colour can be accessorised with either formal or informal attire, it works well with both. 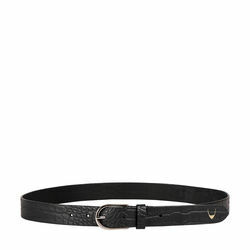 The perfect black leather belt you’ve been looking for is right here! Hidesign gets you the Florence women’s belt, a Ranchero leather, single-sided masterpiece that is made in Italy by Manifattura di Domodossola, world leaders in luxury woven-leather belts. This stretchable belt boasts of a sand-cast brass buckle, and showcases the expertise of its 100-year old maker. There is no way you’d ever have a size issue with this one! If you’re looking for something more out of the box, foray into all things red with this Snake Ranch, Akiko women’s belt. This single-sided belt made from the finest Hidesign leather will brighten up your OOTD in no time! Shop from our exhaustive collection of belts on Hidesign.com.